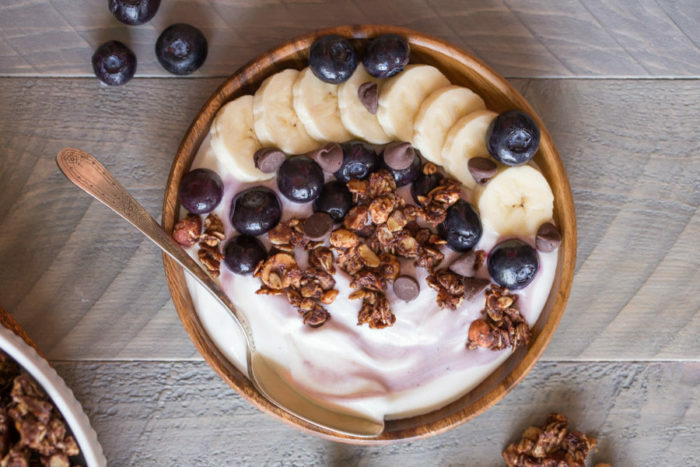 Rise and shine girl – we’re here to help you start your day the right way, with our top 5 favorite fat-loss breakfasts. Whether you’re short on time, in need of a “cheat” meal or are looking for a vegan dish, begin every day with a healthy fat-loss breakfast. We’ve got you covered with six delicious meals that will help you lose weight and support muscle. Why do I need a fat-loss breakfast? What makes a fat-loss breakfast work? We know a lot of people skip breakfast, preferring to eat later on in the day or just have a quick snack because they’re too rushed in the morning. No worries girl, you do you. But if you’re anything like us, without breakfast you’ll be hangry by 11am, which ain’t pretty. The way we see it, every mealtime is another opportunity to get in more of that magical muscle-building macro, protein. When you start planning out your fat-loss breakfast, you need to think about the nutrients you’re putting in to your body. A good rule of thumb is to make sure you’re on a calorie restricted diet and hitting the right macros. Generally, if you’re looking to train weights, grow stronger and lose fat, then a high protein diet is the way to go. The protein will help you maintain muscle which can help you burn more fat. 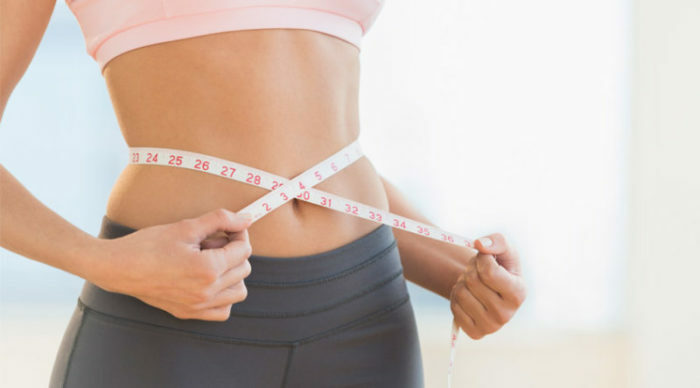 Aim to reflect this in your fat-loss breakfast by monitoring the calorie value of your food, including plenty of protein in snacks and meals and making sure everything you eat will nourish your body. We’ve created these fat-loss breakfasts to reflect a healthy diet, with controlled calories and a high protein content. Everyone’s calorie needs are different, so we haven’t put measurements into these recipes – you can figure out the amounts you eat to perfectly complement your own diet. 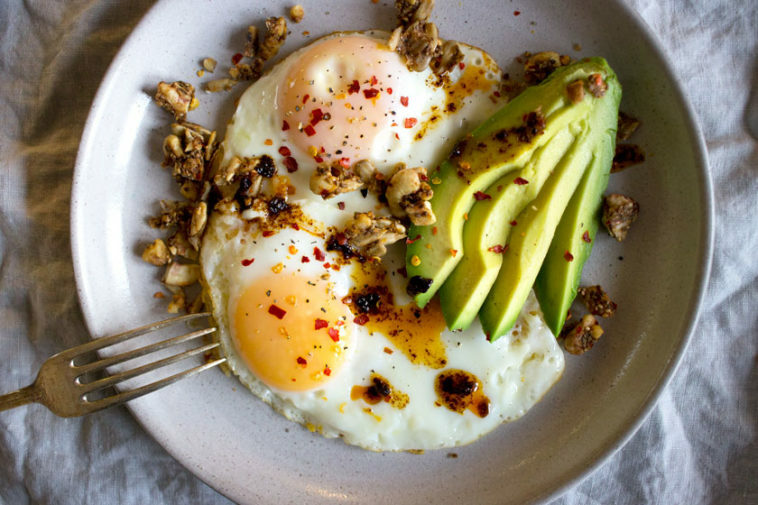 The humble egg packs a powerful punch as a fat-loss breakfast. Full of nutrients, brimming with protein and crammed with healthy fats, we had to put them at number one. Scramble ‘em, fry ‘em, boil ‘em or even throw ‘em in an omelet. We never get bored of eggs. This versatile food is one of our favorite ways to pack in all those essential nutrients first thing in the morning and set you up for the day. In this egg-based breakfast, we’ll show you how to make a healthy, high-protein omelet. Heat a small amount of your chosen oil in a pan and be sure to coat the whole surface. Add the mixture to the pan, ensure it covers the whole area and keep on the heat until the egg is cooked all the way through. Tip: If you’ve got the skills, flip your omelet half way through to ensure it’s cooked evenly on both sides. If you don’t have the skills, don’t worry girl, we’re not all born chefs. Just put it under a grill to cook the top for the last five minutes. 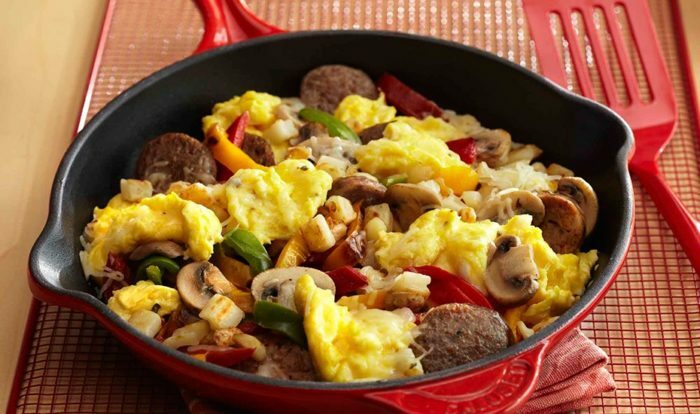 For this fat-loss breakfast, we’re going down the route of a hearty, nutrient packed dish based around chicken sausages. They’re lean, tasty and high in protein. It might feel like a cheat meal, but the fact is this one is perfect for fat loss. It goes without saying meat is one of the main sources of protein available, but we said it anyway. If you want to mix it up and try another meat-based fat-loss breakfast we’d say stick with leaner meats. They’ll have less calories per pound and are packed with muscle growing protein. Tip: Turn this one into a skillet and cut up your sausages, throw in some peppers, onions and peppers for a twist on this tasty dish. Girl, sometimes it’s pretty much impossible to think about making a full breakfast first thing in the morning. You’re exhausted and you’re too hangry to think about cooking – and you’re probably still asleep. Don’t worry girl, we’ve got you covered with a breakfast that gets you all your macros, without taking you ages to cook. Cook the oats and the liquid to your desired oatmeal consistency. Microwave for speed and ease, or cook in a pan if you’re feeling fancy. Add your whey protein and a little extra liquid if it’s needed and mix well until the powder is completely incorporated. Add your frozen berries to the top for a refreshing twist on the dish. 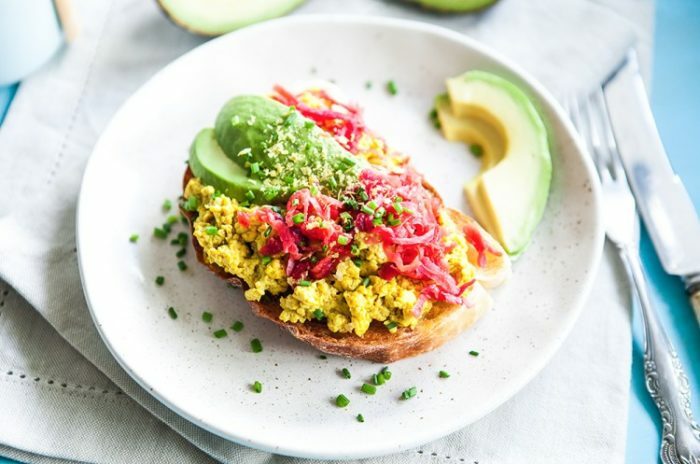 Tip: If you’re vegan, find a plant-based protein and use water or almond milk to create an animal-friendly version of this warming fat-loss breakfast. If you’ve got more of a sweet tooth, but you still want to make some serious gains, then high protein yoghurts are the perfect fat loss breakfast for you. They’ll help curb your cravings without breaking your diet. Perfect the yogurt bowl and you’ll soon be part of the mouthwatering #yogurtbowl revolution on Instagram. These days, there are high-protein yogurts in every supermarket. Add these to your shopping cart and you’ll soon have an easy snack to support your diet or the perfect breakfast to start you off. The temptation with this is to add loads of granola to the top. You can, but just be aware that a lot of these products contain big helpings of sugar. If you’re keeping your calories down, opt for a low sugar variety or go for fresh fruit for added fiber. 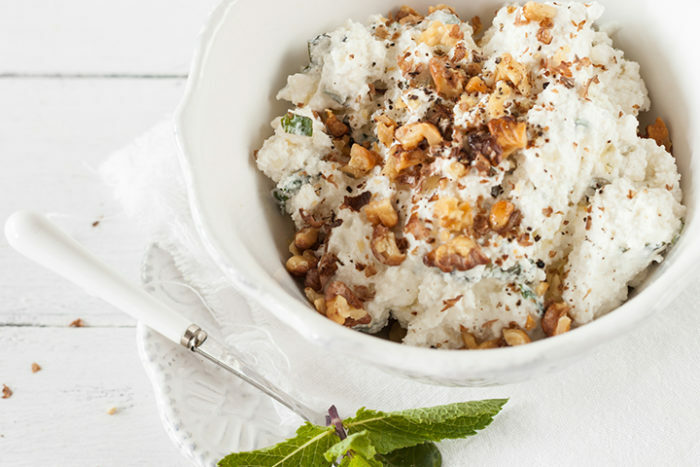 Tip: Add a touch of savory flavor to your bowl and sprinkle the dish with unsweetened coconut shavings, nuts or a helping of peanut butter. 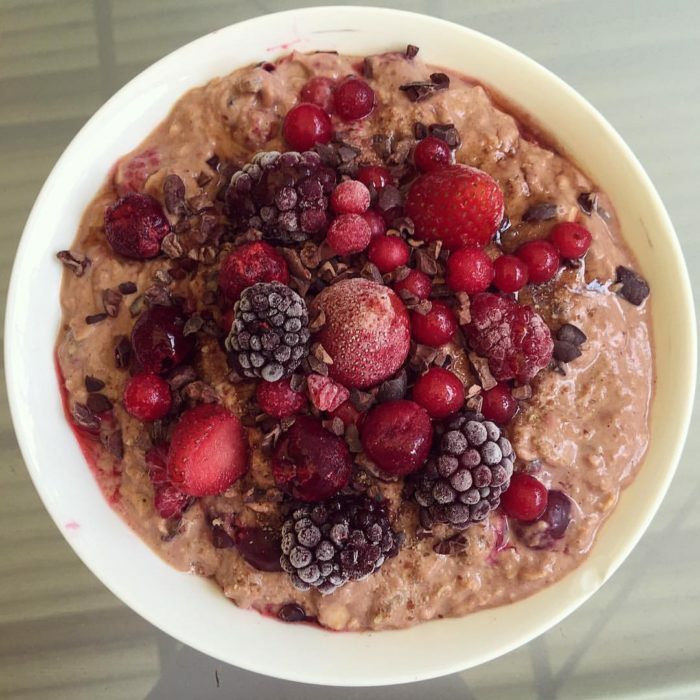 This is another opportunity to turn your breakfast into a guilt-free sweet treat. But this one is perfect if you’re a girl boss who needs to get her protein fix on-the-go. Luckily, cottage cheese is full of the stuff. Simple prep it the night before, put it a plastic container and you can enjoy it on the way to the gym first thing, or at your desk post-workout. We hear you girl, it sounds kinda strange to just have a bowl of cheese for breakfast. But if you know how to work with it, this one can be a sweet delight. Not only is it super tasty and full of all those essential nutrients we keep banging on about, it’s super quick and easy to prepare. Follow our recipe and find out for yourself. Tip: If you’re watching your carb intake and want to avoid the simple sugars in honey, opt for a sugar free syrup option. You should be able to find some in any well-stocked grocery store. For all those plant-based babes out there, we’ve got a delicious breakfast packed with a complete protein amino acid profile. If you haven’t already, check out tofu. It’s a sister to tempeh and it makes a delish option for plant-based fat-loss breakfast. Put this in your morning repertoire and you’re on a track for some serious vegan gains. We’re going for a tofu on toast vibe with this one girl, so check it out. 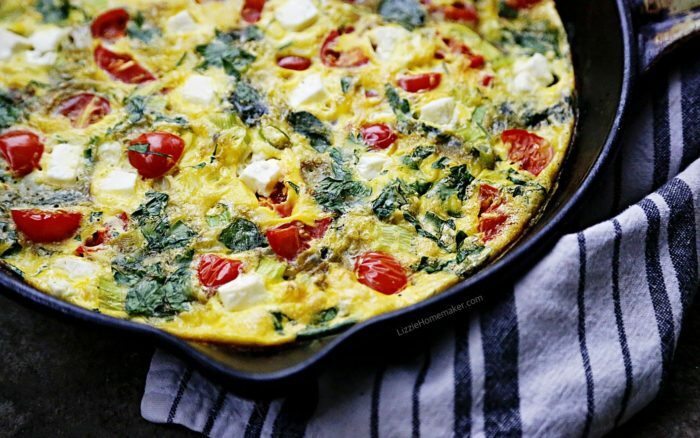 It’s perfect for a mid-week treat yo’self meal, or a Sunday morning brunch, but with the added bonus of being a healthy fat-loss breakfast. There you have it girl, you’ve got enough fat-loss breakfasts to keep you hitting your weight goals and growing muscle like a pro. Each one is powered by protein and healthy nutrients, so you can enjoy a delicious first meal of the day, whilst smashing your fitness goals in one go. Whether you’ve got a sweet tooth or are a plant-based goddess, these meals will have you covered. Put your culinary prowess to the test and whip them up for yourself.